The attraction of the L-505uXII is its new level of refinement, approaching perfection as an authentically desirable product. The L-505uXII is the eagerly awaited Mark II version of the popular L-505uX that has been at the forefront of pre-amplifier design since it’s launch in 2011. Incorporating an abundance of proprietary technologies, such as Luxman’s Version 4.0 ODNF (Only Distortion Negative Feedback), as well as LECUA (Luxman Electronically Controlled Ultimate Attenuator), this product is a truly multifunctional integrated amplifier. 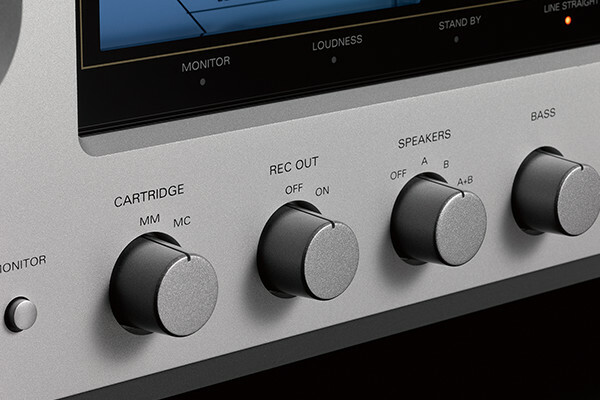 As Luxman’s latest high-end model, the L-505uXII continues the evolution of the L-505 series, which has attracted many fans of audio quality and earned a great reputation. As an amplifier which exudes sophistication and authenticity beyond its class, the L-505uXII represents the latest in a long line of exemplary models. 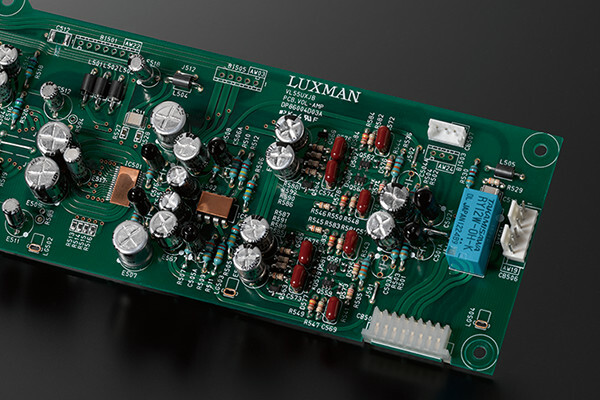 An integral part of the design of the L-505uXII is LUXMAN’s original ODNF amplification feedback circuit featuring a high-speed primary slew rate, an ultra-wide bandwidth and a low level of distortion that is achieved by feeding back only the distorted components of the audio from the amplifier’s output circuit. 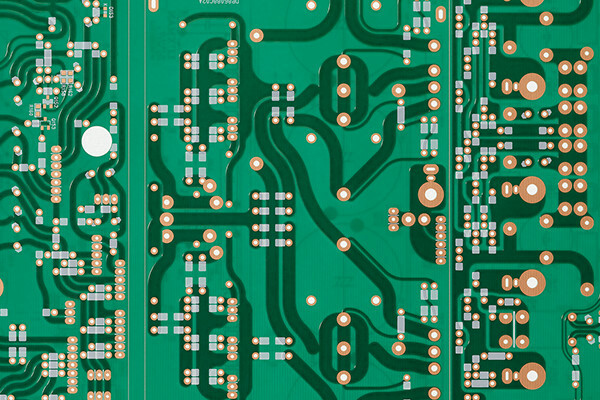 The L-505uXII is equipped with the latest Version 4.0 ODNF circuit, resulting in a dramatically enhanced accuracy in distortion detection due to the paralleled first stage and Darlington equipped second stage amplification circuit, as well as a paralleled first stage error detection circuit. With it’s lower impedance and higher S/N ratio, the L-505uXII realizes accurate reproduction of even the gentlest audio signals and achieves a full range of dynamic musical expression. The output stage, with it’s parallel push-pull structure, has secured sufficient power at 100W+100W(8Ω) and 150W+150W(4Ω). LECUA (Luxman Electronically Controlled Ultimate Attenuator) is at the heart of the pre-amplifier section and the sound volume adjustment function of the L-505uXII. 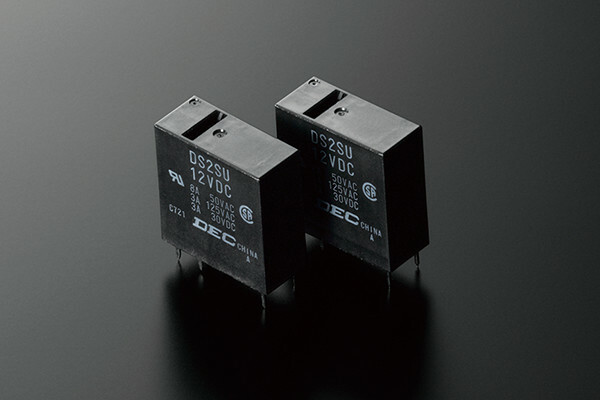 The L-505uXII design also uses a solid state(IC) type circuit to achieve a significant reduction in size. LECUA provides an ideal level control mechanism that allows smooth and fine volume adjustment over 88 steps, thereby minimizing any deterioration of the audio signal. In addition, left and right balance adjustment is integrated into the attenuator’s control functions. The multifunctional ability of LECUA ensures accuracy over the full range of the volume control, whilst suppressing any deterioration of sound quality. The volume may also be adjusted with the remote control, but when adjusting the volume manually, the tactile design and gradual motion of the control itself enables intuitive adjustment of the attenuation level. 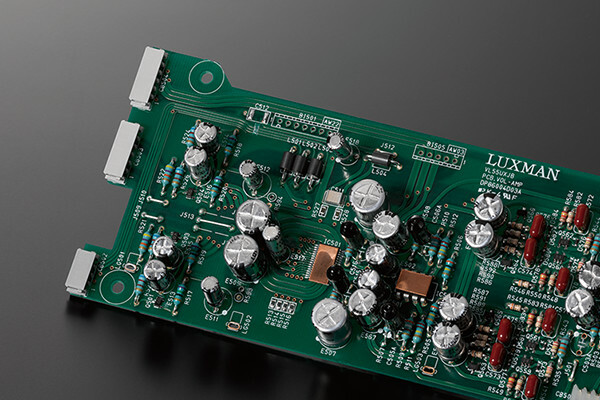 The L-505uXII features a new discrete buffer circuit in the output stage of the pre-amplifier circuit that is equivalent to the type used in our high-end C-900u separate amplifier. 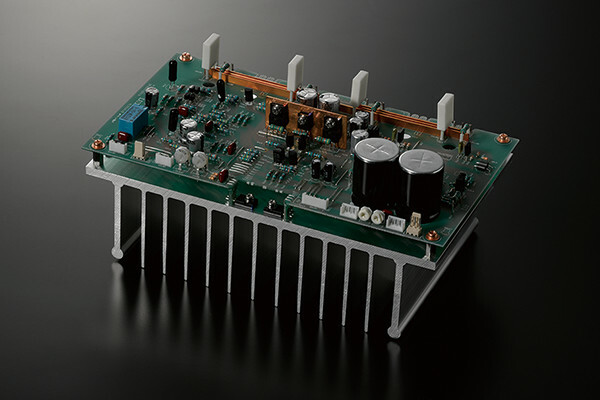 The pre-amp output stage is able to drive the signal with enhanced current supply capacity. The clarity of the audio signal is protected, whilst at the same time, the driving force fed through to the power amplifier stage is significantly increased. 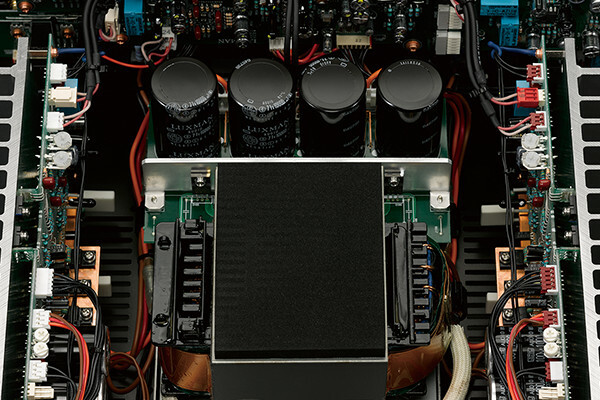 The power and reproduction capability of the L-505uXII achieves overwhelming scale sensitivity and a sharpness on start-up that cannot be achieved by conventional pre-amplifiers. 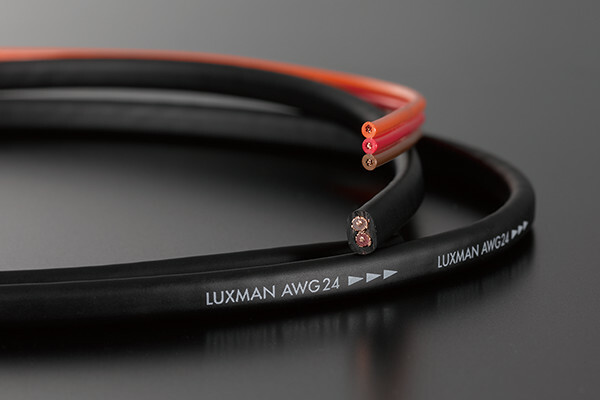 To realize a smooth, stress free signal transmission LUXMAN use an original Beeline construction that features a non-angled wiring pattern to allow smooth signal transmission along the shortest optimal route. This is one of many examples of a LUXMAN original design that makes sound quality a priority. The L-505uXII is equipped with a high quality phono pre-amplifier that is compatible with MM and MC cartridges supporting full analog reproduction. This model offers all the functions that a high quality pre-main amplifier should offer such as bass/treble tone control, L/R balance adjustment using LECUA, pre/power separation function, volume function and headphone output to name a few. 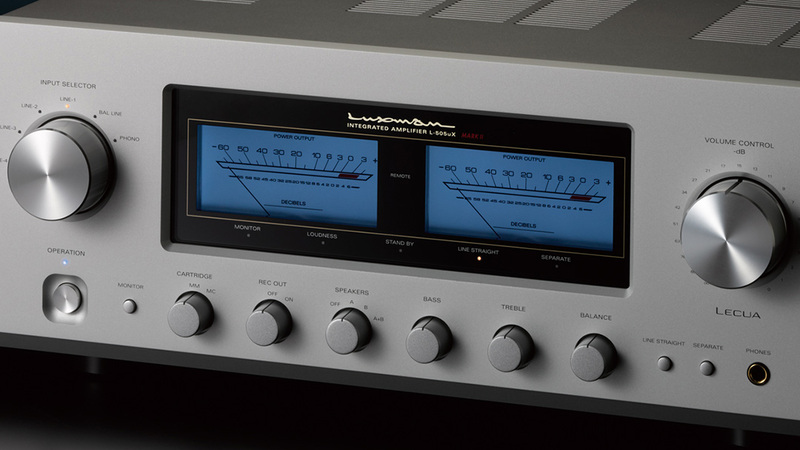 Hear the Luxman L-505uXII Integrated Amplifier at Command Performance today!